American Awning & sign LLC. We are dedicated to honesty and integrity, this is why we post all the documents you need to make sure you picked the right company. 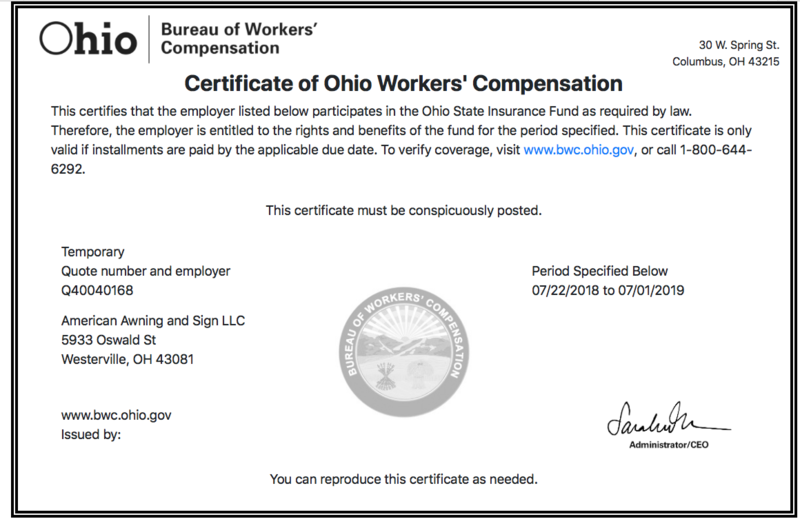 Please take a moment to review our insurance coverage, Ohio Bureau of Workers' Compensation coverage, and our license to do business in Ohio!